It is very common to face unexpected situations in everyday life. Getting yourself locked within your garage or losing all the keys to the door does happen when least expected. Rather than getting tensed about it, call us and see how we solve your problem for you just as easily. 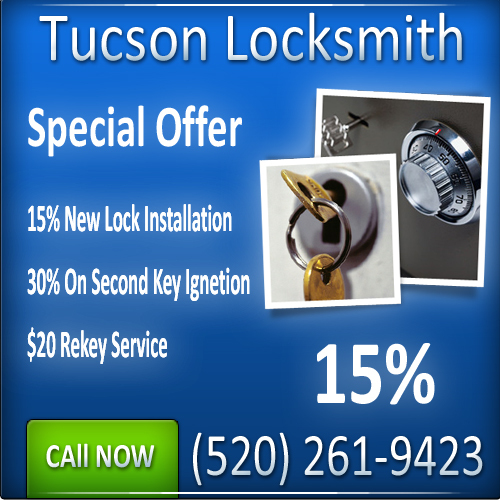 Our locksmith in Tucson will respond to you immediately to solve any of your security issues. Our combined industry experience of over 25 years, makes us the ‘go to' people for any of your security needs. And this is amply proved by the satisfied customers who avail our services and products. 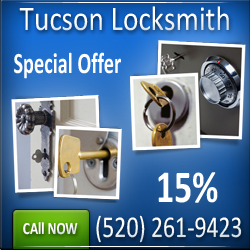 We at Tucson Locksmiths are always at hand and can be reached anytime. Our super-fast and quick response system of under-15 minutes and ready availability of locksmith personnel ensure that whatever the problem is, it is dealt with efficiently.